This video is for people who have taken Laughter Training Course and/or recreation programmers, therapeutic recreation practitioners, therapeutic recreation assistants, care aids, hospice and hospital volunteers, and...well, anyone and everyone who works with Seniors. This is an Instructional video on leading laughter sessions and using Laughter as a complementary therapy to improve the quality of your life and the lives of others. Leading laughter sessions with Seniors can be challenging, but also extremely rewarding. Laughter Yoga methods are ideally suited for Seniors who cannot laugh by using humor, as their mental and cognitive functions are compromised due to ageing process. Also, it is a powerful antidote for depression and loneliness. By doing laughter & breathing exercises, the Seniors can get multi- fold benefits of laughter to improve their health and well being. 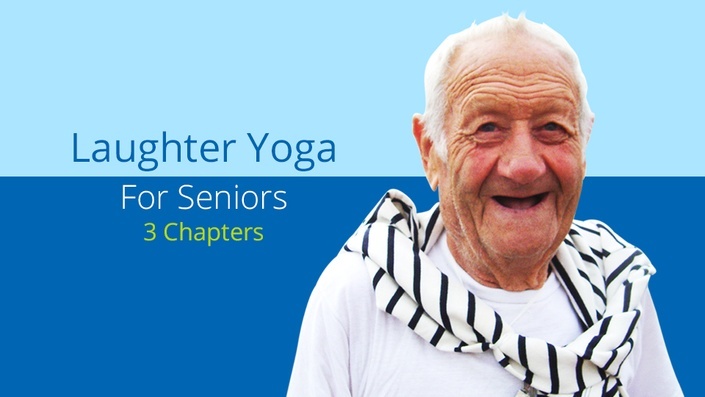 Allan O'Meara, who is a Certified Laughter Yoga Teacher & Laughter Ambassador, has developed special techniques to practice Laughter Yoga with Seniors. This video is a must for all Seniors who wish to add more laughter & joy in their lives and is also a powerful resource for LY professionals who wish to work with Seniors and Aged Care facilities.